Hayley Tabor, Vice President, Global Industries, Sales & Solutions (Alliances, Service Providers and ISVs), leads the team focused on helping industry organizations around the world speed their digital transformation to capitalize on emerging technology trends such as IoT, smart cities, machine learning and VR/AR. Her team's charter includes driving strategy, sales and solution development for industries including healthcare - life sciences, energy (oil & gas, utilities), financial services, retail, manufacturing and video surveillance. Tabor's team is also responsible for the delivery of tested and validated solutions that are deployed to vertical customers and aligned with Dell EMC partners including industry ISVs, channel, and global alliances to accelerate time to solution value. Hayley serves on the board of directors of the Association for Corporate Growth, (ASG, Silicon Valley), and is president of the Global Alliances Women in Action (WIA) Chapter for Dell EMC. 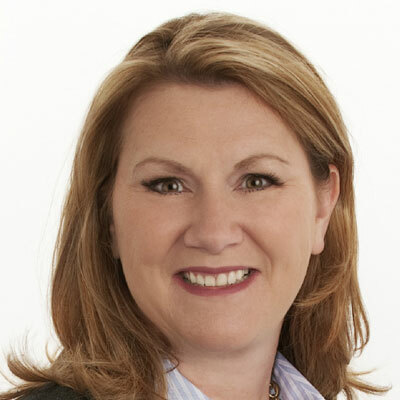 Prior to joining Dell EMC in 2013, Hayley held executive leadership roles at HP, most recently serving as the head of global channel and alliances for HP Software. In addition, Hayley has led sales organizations at Xirrus, Juniper Networks and Computer Associates. Based in southern California, Hayley is involved in community organizations that support family and children's causes. My strategy to advance our company's channel business this year has been to deepen my team's focus with our channel partners and accelerate digital transformation for our mutual customers. Throughout the many conversations we have with our partners, it's very clear that most, if not all, go to market vertically. For that reason, it's important for my team to help provide the industry expertise and relevance to both our internal channel community and our partners in industries such as healthcare/life sciences, surveillance, oil & gas, and utilities - to name a few. We've made additional investments in our Alliances Solutions Centers where we develop joint offers using partner IP and services along with our Dell Technologies portfolio of companies to build enabled, embedded, and engineered offerings. Our partners also leverage industries lab (iLab) and surveillance labs to test, certify, and validate their applications with our product set to help accelerate time to solution deployment for our customers. By utilizing the breadth of the Dell Technologies portfolio to develop differentiated solutions that solve vertical business imperatives and then validating those solutions with our channel partners, we can make certain that we are addressing the needs of our mutual customers. My goals for my company's channel business over the next year are to continue providing solutions with our partners that are simple, relevant, and incremental to their current business. This strategy includes strengthening our partner relationships with established business plans with key performance metrics and delivering solutions that are focused on our vertical customers buying process accompanied by robust go-to-market plans to help accelerate sales revenue in this highly competitive market. This past year, I served on the board of directors of the Association for Corporate Growth. I made presentations on best practices for conducting business internationally along with chairing a panel on surveillance and the role that IT companies can take in helping keep the world safer. Additionally, I was appointed president of the Global Alliances Women in Action chapter for Dell EMC. This is a great opportunity for our team members and partners to participate in professional development, coaching, and mentoring as we further address issues around diversity and other topics that can impact women in the workplace. I've been thinking a lot lately about resilience and taking positive steps in times of adversity, particularly as a mother of four children. Someone I admire is Sheryl Sandberg for two points of view that she has shared publicly over the last few years. Not only does she continue to bring workplace diversity to the forefront and discuss how to "lean in", but she has also shared her very personal tragedy, stemming from the loss of her husband, with lessons to overcome hardships, extending compassion to ourselves and others and the continuous journey of finding joy in life. I would encourage my 16-year-old self to understand that perseverance, hard work, and the ability to take advantage of every learning opportunity you come across, will serve you well in life's continuous journey. While you may face different roadblocks along the way, be open to learning from family friends, teachers, peers and mentors as it will help you to develop new perspectives and insights to stretch who you become and how you choose to live in the world. With the significant consolidation going on in the IT industry, with our partners and in our vertical markets, one of the knowledge areas that am I focusing on this year is to deepen my financial skill set on the impacts of mergers and acquisition strategies. I believe with the digital transformation that is being driven by our channel partners and customers, this understanding will be a valuable skill in delivering end-to-end solutions. I have read quite a few books this past year, but one that stood out for me is "Behave" by Robert Saposky. He explains why we may make decisions based on his understanding of how each part of the brain may contribute. I found it helpful to learn more about the science of our behavior and how it is shaped by individual behaviors and group influence as well. I learned how styles of leaders may influence their teams - in both positive and very negative ways.